Follow us on Facebook to receive the daily menu! 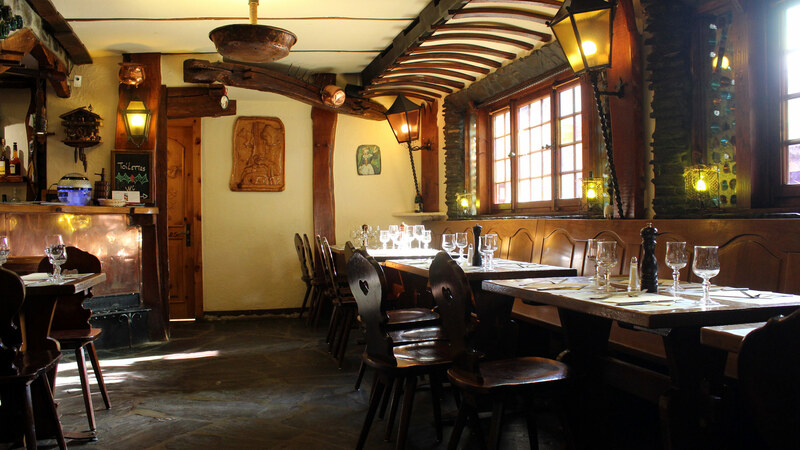 For reservations at "Le Caveau" please visit us at the restaurant or call us at the following number: +41 27 771 22 26. Best cheese raclette in Verbier! 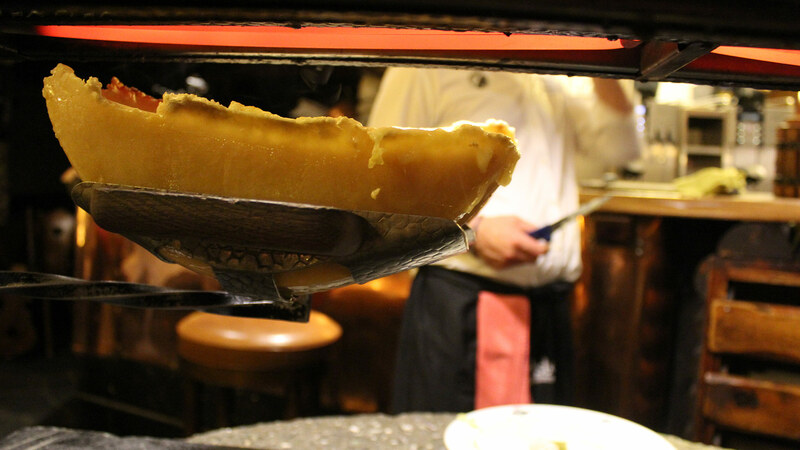 There is no doubt : enjoy the real Bagnes cheese raclette at the restaurant Le Caveau. 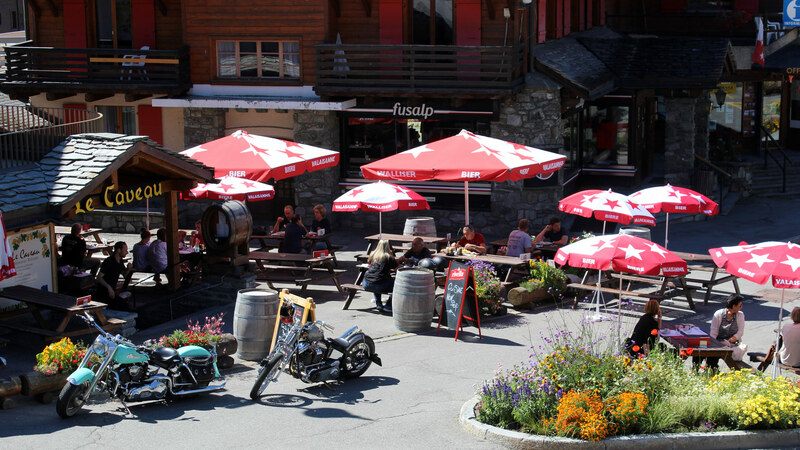 Indeed, for more than 50 years this inescapable restaurant in the center of Verbier offers you its local dishes. A simple and festive meal that will satisfy everyone! Cheese of course! The cheese fondue comes with tomato, morels, boletus and chanterelles, but also peppers (love) and green pepper! And meat! Better known as "Chinese Fondue", it consists of cooking small pieces of beef & chicken meat in broth. As an accompaniment: its small salad, its delicious homemade sauces and its succulent fries. Rack of lamb with spices or beef tenderloin with morel sauce, breaded escalope, snails ... There is something to satisfy all your desires! Seasonal vegetables... Vegetarians will be pleasantly surprised by our salads and suggestions of seasonal vegetables. 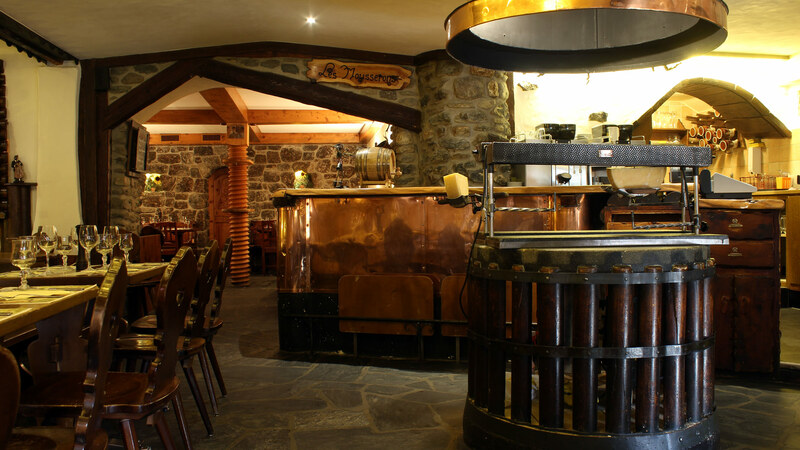 The cheese cellar offers you a wide selection of more than 250 kinds of artisan cheeses from the region, raw milk, refined, from the best alpine pastures in the Bagnes Valley. All our products come from producers spread within a perimeter of 150km. We favor the quality of the products and local trade. Among our products, we invite you to (re) discover the Valaisan plate, a typical dish consisting of Alpine cheeses, local dried beef, smoked Alpine ham and dried bacon with herbs. 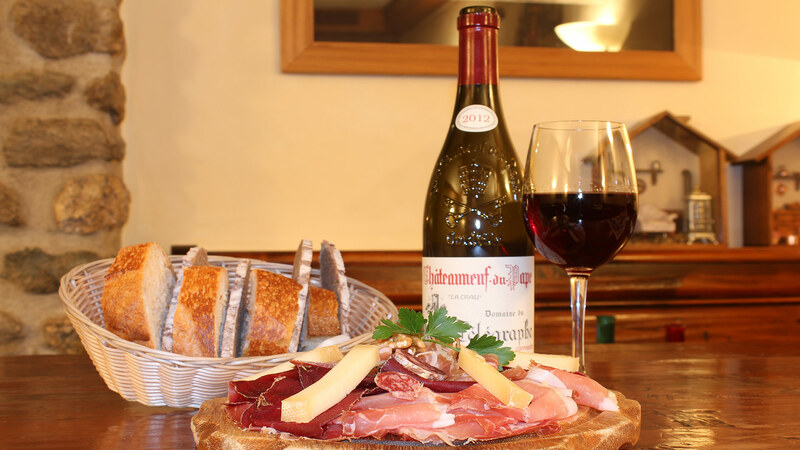 A delight to share before a good raclette!